Today was another day full of action. Winds were SE 10-15 today and it was blue sunny skies. Keith, Rich, Jon, Greg, and Kevin were amped to get back at it again. 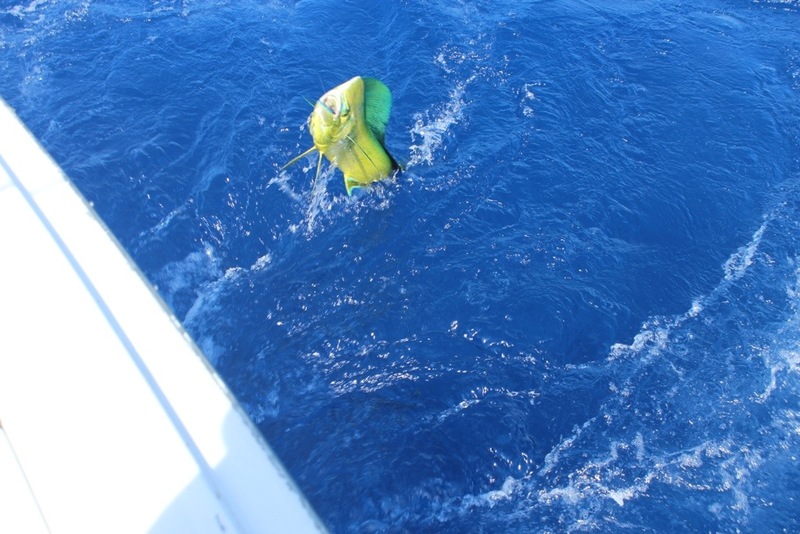 We started off the morning picking at a few Mahi then Rich got hooked into a white marlin that we released. We kept picking at Mahi throughout the day and played with them on light spinning tackle for a while. We ended up picking up one more white marlin that came up on the right teaser super aggressive. It was an awesome bite and Rich got the release on the 80 plus pound white marlin. Back at it again tomorrow. To those of you following my blog, I apologize for the poor/short write ups and lack of pictures, but Internet is super slow down here and just getting in a quick report is a challenge.